Lorna Luft Shares Her Mom Judy Garland's Battles With "A Star in Born" Lorna Luft Shares Her Mom Judy Garland's Battles With "A Star in Born"
Lorna Luft shares behind-the-scenes tales of her legendary mother’s masterpiece A Star is Born in her new book. Lorna Luft will sign copies of A Star is Born: Judy Garland and the Film That Got Away from noon to 2 p.m. Nov. 17 at Just Fabulous in Palm Springs. Judy Garland is considered by many to be the greatest entertainer our country ever produced. With classic films such as The Wizard of Oz and Meet Me in St. Louis in constant rotation on television, and with her recordings remaining popular, Garland’s legacy is secure. 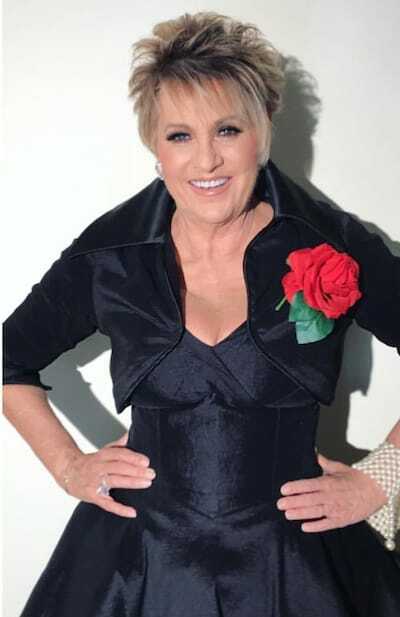 Helping to keep her memory alive is her youngest daughter Lorna Luft, an accomplished performer in her own right. Luft has co-authored (along with noted film historian Jeffrey Vance) the gorgeously-illustrated tome, A Star Is Born: Judy Garland and the Film that Got Away. It’s an insider’s peek at the 1954 musical film that starred Garland as a rising film actress who becomes involved with a famous alcoholic actor (James Mason), whose stature has begun to rapidly descend from the firmament. The Warner Bros epic was to mark a comeback for Garland as her first since being fired from MGM after a long reign as a box office queen. For a while that seemed possible. The film premiered to ecstatic reviews that called it a masterpiece and hailed Garland’s performance as a revelation. Instead it would become her last movie for seven years. Rumors of personal problems causing a delay in filming and the studio execs deciding the three hour running time was too long and that exhibitors would schedule more showings with a shorter version. The chose to butcher the movie by excising 30 minutes before it went into general release, making parts of the story incomprehensible and infuriating Garland, her husband-producer Sid Luft and director George Cukor. To add further insult, Garland had been considered a slam dunk to win the Academy Award for best actress, but in a surprising upset lost to Grace Kelly for her less-demanding work in The Country Girl. Eventually, some of the films assets were discovered and a partially restored version of the film was screened in 1984. All of this and more is vividly conveyed in Luft’s recently published book. Luft spoke with Palm Springs Life about the book, her legendary mother, and her own relationship with the Coachella Valley. About eight years ago I read that Clint Eastwood was about to embark on directing another remake of A Star is Born with Beyoncé. I’ve had over 700 behind-the-scenes photos from my mother’s film, so I thought, Oh, that would make an interesting picture book. I called my agent who agreed. Then that movie fell apart so I waited. Sure enough, Bradley Cooper and Lady Gaga came along so I called up my agent and said, “Drag that book deal out.” And there it is. It broke both of your parents’ hearts to have the original cut of the film be so haphazardly re-edited. You were very young, but what do you remember either of them saying about this experience over the years? I was really young when that happened — I was two. I had long conversations with my mom and dad when I was a teenager about how they felt, how heartbroken they were and how upsetting it was. They knew they had made a masterpiece that had been taken away from them by not only the executives at Warner Brothers but also the projectionists. I don’t think there’s ever been a story quite like this: a film comes out, everyone loves it, gets amazing reviews, then they take away and cut it up. To get more showings they shortened the film so it was all due to the almighty dollar. What was your impression of the restored version of the film the first time you saw it? I was so grateful they’d found the materials. They hadn’t found the original soundtrack yet. It was an incredible evening at Radio City Music Hall with James Mason introducing it. It was just very emotional and something I was very grateful for. Then when they revived it again, after they found the entire soundtrack and more photographs and created what is now the ultimate version of that 1954 film, I was thrilled because it made the movie make more sense. I’m one of many who think your mother’s performance in the film is her finest and her musical number, “The Man That Got Away” is probably the greatest ever captured on film. I agree. [Laughs] It’s heart-wrenching. It’s about human emotion and that’s why the movie keeps getting remade again. Everyone can identify with watching someone’s star rise and watching someone’s star fall. By the time she made the film, your mother had seen and experienced all the ups and downs of show business. Is this what helped her to connect so strongly with the material? Watching my mom’s film and knowing what her life was like was sort of like life imitating art. That’s why the film is so honest. Because it has that connection with a real person. We all grew up with her as Dorothy and other characters since she was a child. A Star is Born shows her as an adult. The story continues to resonate with audiences as witnessed by the recent version with Lady Gaga and Bradley Cooper. What do you think is the reason? It’s going to be a Broadway musical in a couple of years with Bill Condon directing. I think Bradley Cooper and Lady Gaga embraced this story and did it in a brilliant way. They brought it up to the now so that all the young 20-somethings who haven’t seen any version will now hopefully go back and watch the others. I wrote my book to show the history. Bradley and Gaga have been so generous and kind and wonderful to me about the book. I went to the premiere of the movie at the Shrine Auditorium which is one of the great nights. I’m so pleased that it has caught the attention and the spark of every single solitary person who’s gone to see it and it’s a big hit. They both paid homage to my mother’s film. I told them at the premiere that they did a fantastic job. They went to this material with a heart and they knew that they were doing something they would be compared to. I think they hit it out of the ballpark. What have your brother (Joey Luft) and sister (Liza Minnelli) said about the book? You have a long-standing relationship with Palm Springs. Why is the city so special for you? I’ve been living her for about five years. I didn’t grow up here. My mother didn’t have a second home here. But my godfather was Frank Sinatra so there’s a very large connection between him and Palm Springs. I knew many people who did have second homes here. I was living in Beverly Hills and quite frankly it started to make me nuts with the traffic and onslaught of people. My husband and I decided we wanted to move but didn’t know where. My best friend is Barry Manilow and he told us to come and check it out. We thought it was great because it’s just two hours from L.A. The weather is great except for maybe a couple of months during summer. Everyone is really nice and it does have a feel of community. The people here have been unbelievably generous to us since we moved here. That’s what I like about it and Coachella Valley. I still go out on the road quite a bit and it’s a fantastic place to come home to. The Palm Springs Festival of Lights parade is a beloved holiday tradition in Palm Springs. What went through your mind when you were asked to be the parade’s grand marshal? First, I’ve seen the parade and it kicks off the holidays. It’s heartwarming to see people bring their children. It’s a really good time. When they asked me to do it, I thought, ‘How cool is this?’ The whole valley comes to watch it. I’ve done the Macy’s parade, which is challenging to say the least. This parade is in my hometown so how great is that? I was touched and grateful. You’ve had some health issues during the past year. How are you doing now? I had a brain tumor seven months ago. I’m incredibly lucky and am one of the most fortunate people because I have a team of doctors who have looked after me for seven years while I was fighting breast cancer. I went back to work, which was my goal. Every time I hit a speed bump, I just keep going. I think the attitude I have about this disease is I refuse to let it get the better of me. I keep working and doing things. I go in and have treatments to make me better. I’m very, very aware of my health. I’ve changed things in my life and diet and I don’t get stressed anymore. I’m pro-active. I’m incredibly lucky to have a group of doctors who have saved my life quite a few times. To cancer patients out there, I’m with you and holding your hand. 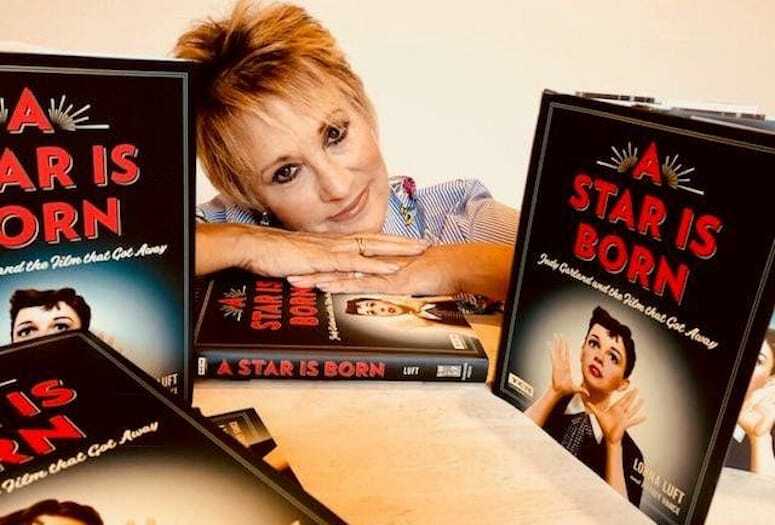 Lorna Luft will sign copies of A Star is Born: Judy Garland and the Film That Got Away from noon to 2 p.m. Nov. 17 at Just Fabulous, 515 N. Palm Canyon Drive, Palm Springs. 760-864-1300; bjustfabulous.com.